You’re sitting on the sofa with your partner and you start to feel a cold chill coming from next to you. Is the window open? You get up to look when you notice her eyes following you around the room. You’ve located the frostiness. It’s at that point reality hits you….you’re in the doghouse. 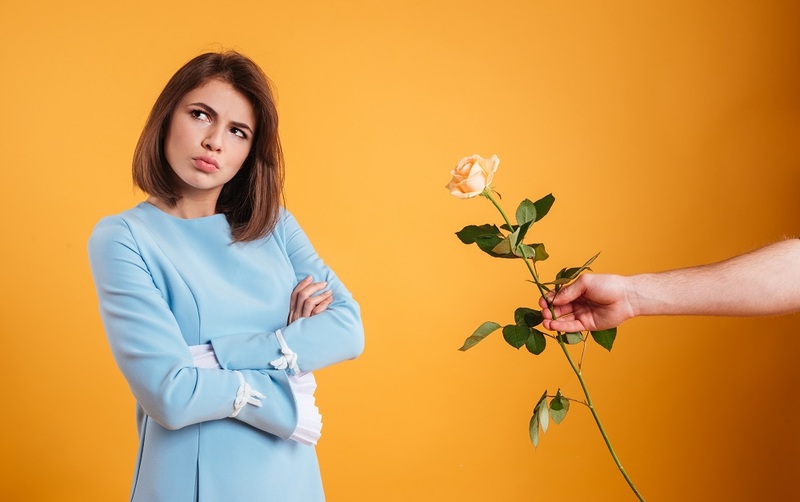 Our survey of 1,000 women in a relationship with a male partner has revealed a list of signs to look for to tell if your lady friend is cross with you. The list, featured in full below, revealed signs such as no kisses on text messages, women saying ‘I’m fine’ and locking the bathroom door when showering are all signs that you’ve probably done something wrong. You might also want to worry if she’s gone to bed early or not made you a cup of tea. Most of the signs revealed were non-verbal indicators, with two-thirds of women admitting that if they’ve got the hump with their other half the last thing they want to do is talk to them. Six in ten women say their partner is usually slow to catch on when they are mad at them, with men taking an average of four hours to realise they are in the doghouse. So what is it that men have done to provoke these reactions? Women are also left irritated when their man gets home later than they said they would, don’t reply to text messages or insult their friends or relatives. The survey achieved widespread media coverage, landing on The Express, Mirror, Female First and The London Economic. The story also made the Daily Express, Daily Mirror, Metro and the Sun in print.